Donek Drag Knives are being used in industry and by hobbyists to cut snowboard and ski base materials, wood veneer for inlay/marquetry artwork, leather, carbon fiber pre-preg laminates for aerospace, military, and automotive components, cardboard for custom packaging, and much more. 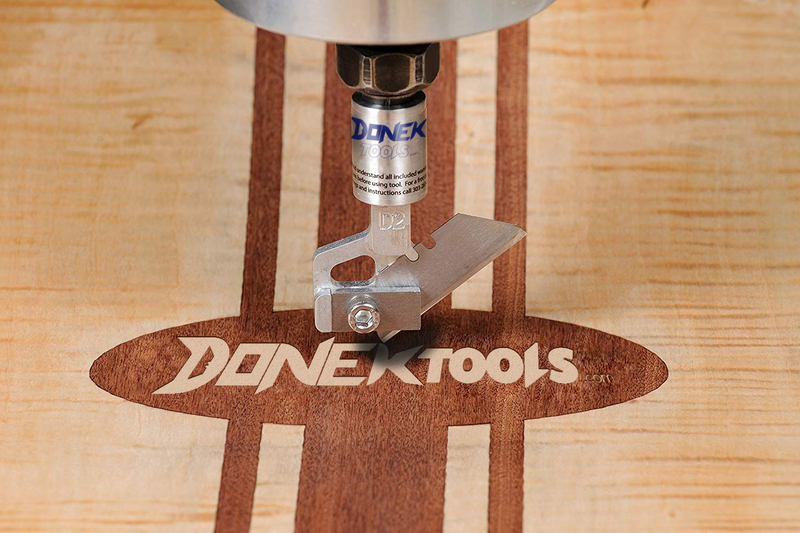 Whether you want to perform delicate veneer inlay work or cut out cardboard boxes with your CNC router, Donek Tools has a tool right for the job. Tools that fit in 1/2in and 1/4in collets are available. 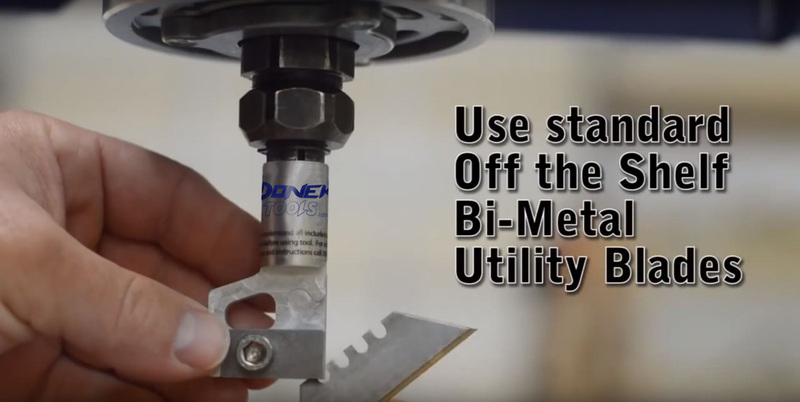 Our D1 & D3 Drag Knives are optimized for detailed work in thinner materials with a depth of cut from 0.010 in. to 0.0625 in. (1/16 in.) thick. Curved cuts as small as 1/16 in. radius are possible with these tools. The D1 fits in a 1/2in collet and the D3 fits in a 1/4in collet. ** Offset values are approximate because results may vary from machine to machine and material to material. In general, if your blade is overturning at corners, reduce the offset. If it is under turning, increase the offset.